September 2015 – Comedy or Tragedy? I keep thinking about last night’s eclipse. To be honest, I’d kind of forgotten it was even happening, but then I saw something about it on social media (of course), so with very little preamble or expectation, my husband I decided to walk a block up to the park to check it out. We sat in the grass in the dark (a rarity in of itself in Brooklyn) and watched the sky for almost an hour and a half. There were other people around us, some alone, some with kids, some with dogs, some with wine and weed. No one sat too close, but scattered through the park, little islands of smartphone lights and voices in the night, their presence was a comfort under such a sky. Overhead, the moon passed in and out of wisps of cloud, the Earth’s shadow nibbling through it until it was totally obscured, glowing and red and seemingly huge. So did other people, and it made me realize how rare it has become to truly have your breath taken away by something beautiful and unexpected. 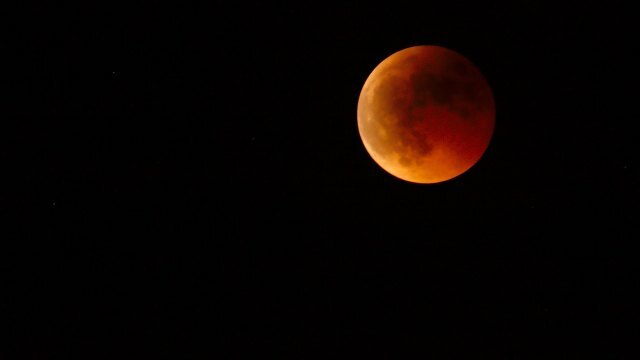 It wasn’t just that the moon was eclipsed, or appeared very large, or was the most incredible blood red color…it was the reminder of the cosmos, of the sheer magnitude of it all. That we’re just little ants on a rock falling around the sun, a rock that will one day fall right into the sun and be devoured and destroyed and reborn as dust spreading into the vacuum to become new stars and planets and life. Truly, we humans have done incredible things. Our time on this planet has been quite short–far less than earlier species of hominins, for example–yet in that time we have built, destroyed, dreamed, and reshaped this planet to our liking far more rapidly and efficiently than any other species. Whether that’s for better or worse is hard to say. Maybe one day our dreams and belief in humanity’s manifest destiny will take us off this rock and out into the stars, where our ancestors will watch Earth burn up a long, long time from now. Maybe not. Maybe our run is winding down. Maybe we’ve reached too high, too fast, too carelessly. Looking at the moon last night, though, I felt like it didn’t matter. Whatever we do or don’t do as a species, and as individuals, is so fleeting. So precious and so very now. Maybe rather than worrying about it so much, I should just live my life, try to be happy, and let myself be amazed more often.